On Thursday, sir? That’s very very soon. Lord Capulet, my future father-in-law, wants it to be that way, and I’m not anxious to slow him down. You said that you don’t know what the lady thinks. This path to marriage seems unstable. I don’t like this. She’s wallowing in tears over Tybalt’s death, and because of that I’ve barely talked about love, since love so rarely begins in a place of such sadness. You say you do not know the lady's mind. Venus is the goddess of love, who “smiles not” on a grieving family. 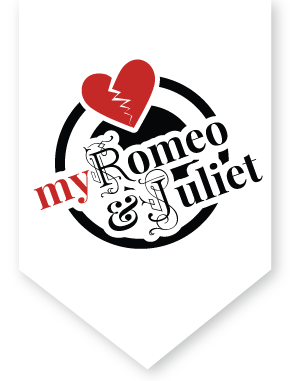 Paris is saying that he's having a difficult time wooing Juliet because she's too busy crying over the loss of Tybalt (and—little does he know—Romeo). Her father thinks it’s dangerous for her to be so affected by grief, and he’s wisely tried to hasten our marriage to stop this overwhelming grief of hers. It’s possible that company can help her while loneliness only encourages it. Now you can see the reason for this haste. [Aside] I wish I didn’t know why it should be delayed. Look, sir, here comes Juliet towards my cell. I would I knew not why it should be slowed. That ‘may be’ must be, love, on Thursday next. How fortunate to see you, my lady and my wife! It may be good to see you, sir, when I actually am a wife. You must be next Thursday, love. Have you come to make confession to the friar? If I answered that, I would be confessing to you why I’ve come. Yes, I’m sure that you’ll confess that you love me. If I do, a confession will be more valuable spoken behind your back instead of to your face. Poor soul, your face has been so stained with tears. Thou wrongest it, more than tears, with that report. Good for the tears. It was bad enough before they stained it. No, you’re giving your face more of an insult than the tears did with that remark. It’s not slander when it’s the truth. What I said, I said to my own face. Your face belongs to me, and you spoke ill of it! Perhaps it does belong to you, because it doesn’t feel like my own. Is this a good time now, holy father, or should I come back at evening mass? Thy face is mine, and thou hast slandered it. Thoughtful daughter, this is a convenient time. My lord, I’ll have to ask you to leave us in private. God forbid I should get in the way of devout practice! Juliet, I’ll see you early on Thursday. Until then, goodbye, and have this holy kiss. Oh shut the door, and when you have, come weep with me! I am past hope, past cure, past help! Ah Juliet, I already know about what is causing you such grief. It breaks my heart. Till then, adieu, and keep this holy kiss. Come weep with me, past hope, past cure, past help!. I heard that you must be married to that count next Thursday, and that nothing can delay it. Don’t tell me that you know about this planned wedding to Paris, unless you know how to stop it. If, in all your wisdom you can’t help me, then you must acknowledge the wisdom of my resolving my problems with this knife. God joined my heart and Romeo’s, and you joined our hands. But before this hand shall be joined to another in holy matrimony, or my heart be unfaithful by turning to another, this knife shall kill both my hand and heart. Therefore, based on the experiences of your long life, give me some advice. Watch while this bloody knife plays the role of umpire, resolving the conflict between my problems and myself, conflicts which your years of experience and knowledge could not solve in an honorable manner. Hold on, daughter. I can see a small hope, which needs action as desperate as this whole situation. In this moment of wordplay, Juliet tells the the friar to not take so long to speak, because if he doesn't have a solution to her problems then she longs to die. If what thou speakest speak not of remedy. These lines recall the old proverb, a desperate disease must have a desperate cure. Or, as we might say today, desperate times call for desperate measures. If you have the strength to kill yourself rather than marry Count Paris, then I presume you would fake your death--undergo a state like death--to escape this sin. And if you’ll dare that, I can give you a solution. Oh, rather than ask me to marry Paris, you could tell me to leap from the castle walls, walk among highway robbers, dwell with snakes, chain myself to a post and let bears attack me. And if thou darest, I'll give thee remedy. I would sleep in a morgue every night covered in bones, with reeking limbs and yellowing jawless skulls, or go into a fresh grave and hide myself with a dead man inside his shroud, all these things that would have once made me shudder just to hear about. I would do it all without any fear or doubt to live as a virtuous wife to my sweet love. Wait, then. Go home, be cheerful, tell your family you consent to marry Paris. To marry Paris. Wednesday is tomorrow. Let not thy nurse lie with thee in thy chamber. And this distilled liquor drink thou off. Tomorrow is Wednesday, and tomorrow night make sure you’re sleeping alone in your room without your nurse nearby. Take this vial of potion when you’re in bed and drink all of the liquid inside it. Immediately after you do you will feel cold and drowsy because your pulse will stop. Nothing will indicate that you’re still alive: no warmth, no breath, no color in your face. Your eyes will shut like death shutting windows on a day of life. Deprived of circulation, every part of your body will appear to be dead, stiff, and cold. No warmth, no breath, shall testify thou livest. Like death when he shuts up the day of life. You will continue to inhabit this borrowed appearance of death for forty-two hours, after which you will wake up, as if from a pleasant sleep. Now, when your groom-to-be comes in the morning to wake you on your wedding day, there you’ll be, dead. According to the traditional funeral rites in our country, you’ll be dressed in your finest robes and laid uncovered on a funeral bier to be carried to the ancient family crypt where all your Capulet ancestors are buried. So that you don’t have to wake up there alone, I will send word to Romeo about this plan, and he’ll come here. He and I will watch over your waking up, and that same night Romeo will take you away to Mantua. Abate thy valor in the acting it. All this will free you from the present shameful state, if no womanish fear prevents you from going through with it. Give me the potion, give it to me! Oh, don’t talk to me about fear! Be patient. Go back home, be strong and hold firm in your resolve. I’ll send a friar on a fast horse to Mantua with letters to your husband. Love give me strength! And strength shall help me endure. Farewell, dear father! To Mantua with my letters to thy lord. Love give me strength, and strength shall help afford.